A point to make before I go further into this post; I feel slightly (OK, ‘very’) uncomfortable about posting photos of myself where my skin is really raw red and I possibly look the worst I can look, but I wanted to give a real-life ‘warts and all’ review of the Dermaroller treatment I recently had carried out. I know that when I’m considering a treatment, I appreciate a good honest account, with photos that really reflect the post-treatment days. 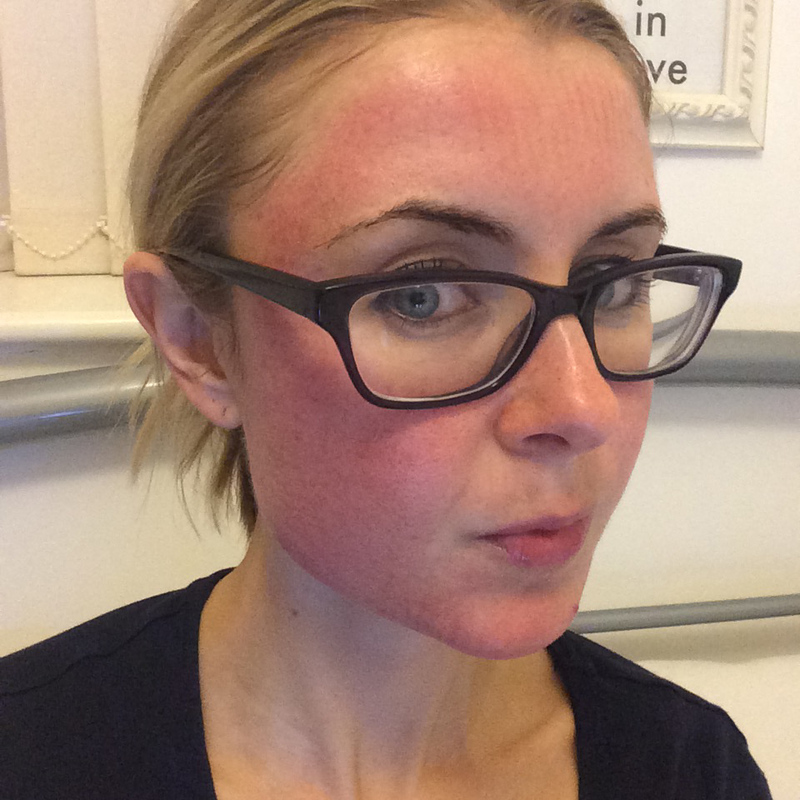 So that’s how I have decided to share this with you… so no laughing at my red face! 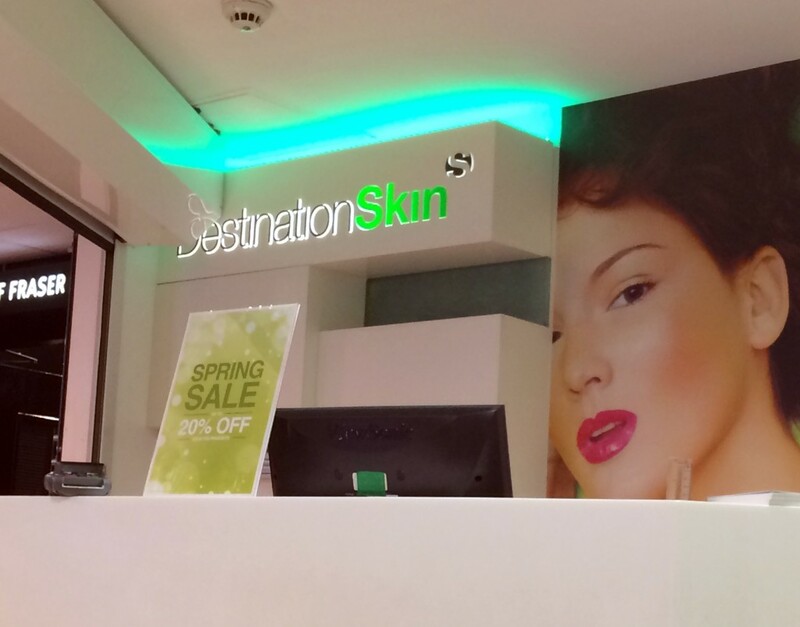 I recently visited Destination Skin in Manchester- a skincare clinic located across House of Fraser department stores- for a Dermaroller treatment to target skin scarring, sun damage and red marks left from previous breakouts and time spent in the sun. 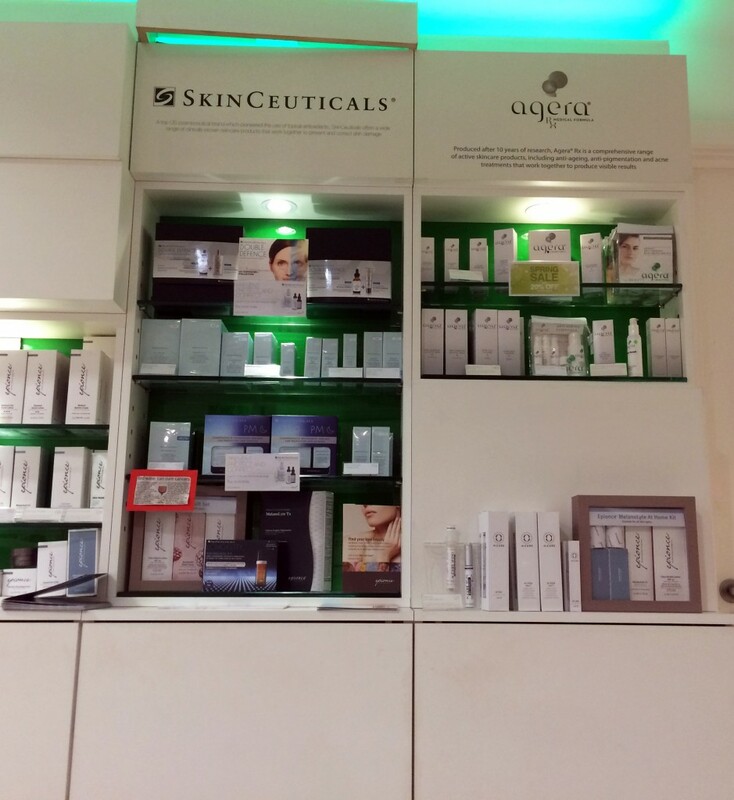 As well as Dermaroller treatments, Destination Skin cater for every type of skin concern possible, from anti-ageing treatments, laser hair removal, skin peels and Electrolysis to name a few. I first called in at the clinic to have a thorough skin analysis, where after a discussion with my practitioner about my skin concerns, she popped my face into a machine which shows up all areas on my skin which suffer in different ways. I noticed there were patches that were extremely dry, patches which suffered from spots, and patches that had seen a little too much sun over the years. 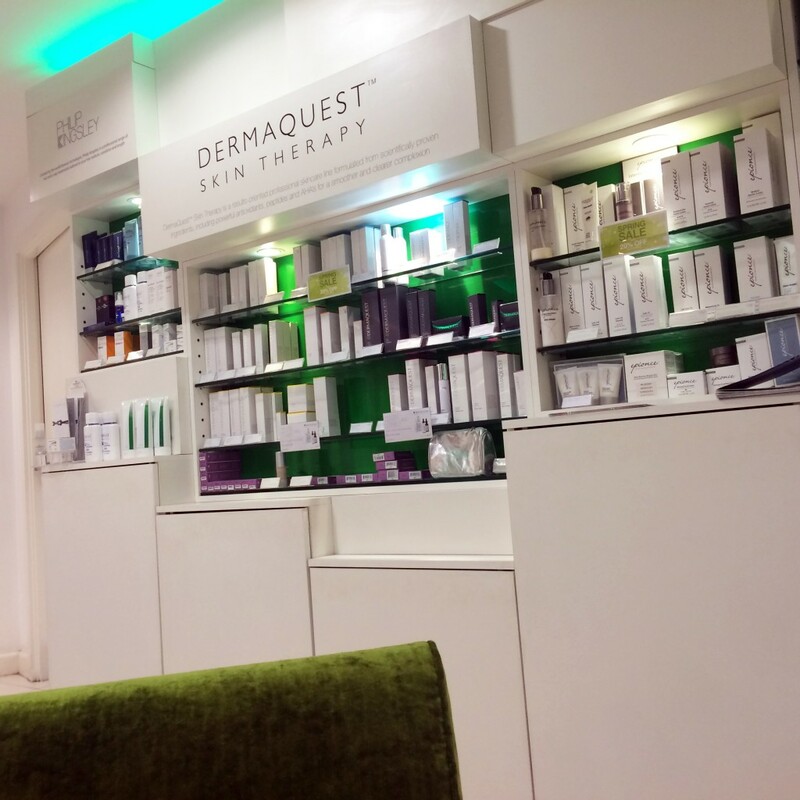 At this stage, the Dermaroller treatment was explained to me so I would know exactly what to expect from the procedure, along with skincare regime and product recommendations. For those who are not in the know about Dermaroller, here is a brief overview of the procedure: Destination Skin use the Genuine Dermaroller™ medical device to produce thousands of micro-medical needle-columns in the skin. Each column will penetrate into the dermis of the skin and will be approximately 0.1mm in width. The column will close rapidly enabling the skin to recover quickly – often in the same day. My practitioner used a topical anesthetic to numb my skin beforehand, making the procedure as comfortable as possible. The topical anesthetic was given 30 minutes to work, and the Genuine Dermaroller™ Therapy procedure took around 20 minutes in total. As you can see from the photo above, the topical anesthetic works like a thick numbing cream which sits on the skin before being removed prior to the treatment. Even though the anesthetic does numb the pain, once the Dermaroller procedure begins, it does start to feel slightly uncomfortable when the cream begins to wear off. My procedure began on my forehead, before working round my entire face, with the needles being rolled in different directions to create as much trauma to the skin so it can begin it’s journey of producing collagen to repair the skin, in order to start working. When I was having the treatment, I obviously couldn’t see what was going on. But I fully trusted my practitioner and she made me feel at ease, explaining what was happening at every step and assuring me it was all going really well. I wasn’t worried about the pain at all; I felt in good hands and knew that a little bit of uncomfortable feelings are to be expected in order to get results. And that is what I wanted from the treatment – the very best of results. The tiny needles pierced my skin over the period of procedure time, causing pin-prick bleeding and inflammation, which break the connections around the scarring. This then allows new blood cells to repair any damage, causing the scar to flatten and reduce as the skin naturally renews. The mild trauma also stimulates collagen and elastin, promoting the production of new skin cells which will help to strengthen, plump and tighten my skin. The photos above show what my face looked like when I had arrived home the evening of my Dermaroller treatment. So as you can see, it is very red and swollen, with track type markings from where the roller has gone across my skin in different directions. 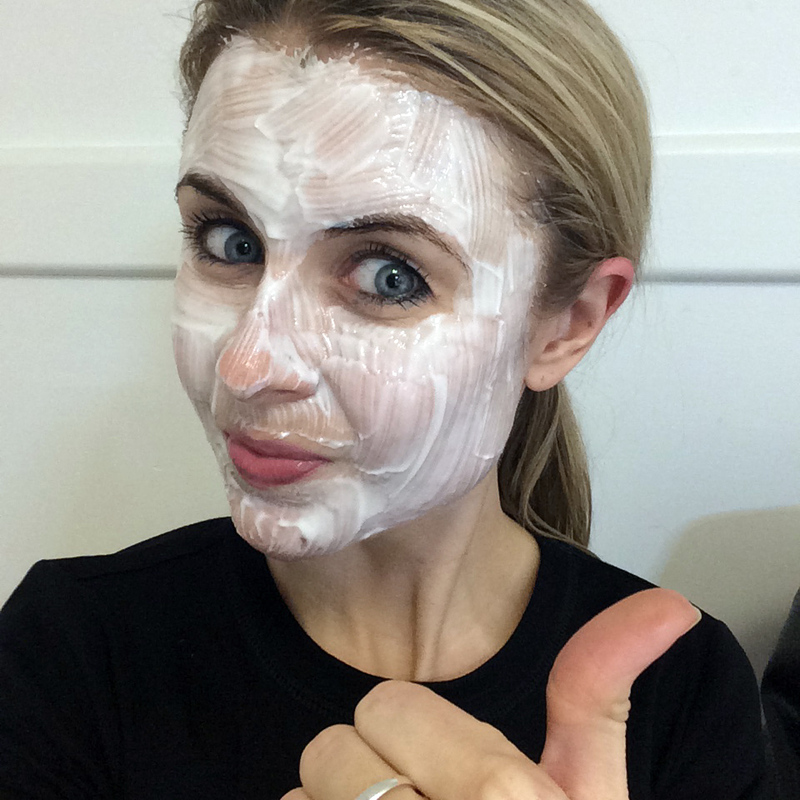 To be honest, for me, it was a good sign that the treatment had been carried out properly and thoroughly – the more redness caused means that my skin reacted to the roller, causing the initial damage which then means my skin will start repairing itself. For 2-3 days after the procedure my skin did feel slightly sore, therefore I went make-up free and avoided touching as much as possible. The week after, my skin felt very dry and started to flake in certain areas (side of the nose, chin and forehead) but I just continued to use the aftercare healing products Destination Skin provide afterwards. 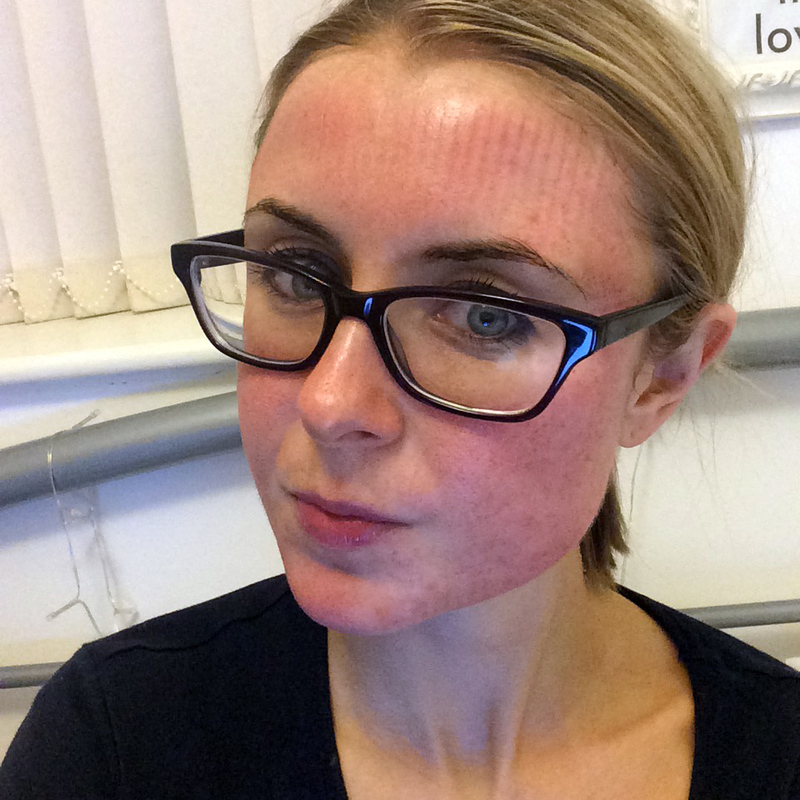 Today, I am 3 weeks post-treatment, and although it takes 6 weeks to roughly see the best results (although your skin keeps on repairing itself so even better results can be seen further down the line) my face is already smoother, clearer and free from the stubborn sun damage and pigmentation. The texture of the skin appears softened, where breakout scars seem to look a little softened and ‘blended’. If this is how I feel just 3 weeks post-treatment, then I am really intrigued to my feelings when I reach 2 months post treatment! A course of 3 sessions are advised to fully see results, therefore depending on whether I can afford it or not (buying a house is eating up my funds at the moment…) I would love to have the full session. Up to now, I am really happy with everything that Destination Skin had to offer me, from the first initial meeting and consultation, to the pricing and product recommendations, to the actual treatment and customer service, to the after care. I felt like I was in the best of hands, and I feel confident the procedure is working its magic. I will definitely update with a further response once 6 weeks have passed, but for now, a huge thank you to the amazingly talented team at Destination Skin at House of Fraser, Manchester. Great site. I just did derma rolling yesterday and have terrible track marks on my forehead. I am freaking out and worried I might have ruined my skin forever. While frantically searching the internet I came across your post and saw you speaking about track marks. Could you please help me and let me know how soon your track marks healed and what you did to heal them? How deep were they? Mine are horizontal and I think a bit deeper than yours. Don’t worry – one of the times I had it done, I was left with horrendous track marks, so bad they scratched the skin. I had to call in sick for work the next day! They took 5 days to fade… so don’t worry, they will fade. It just means they went a little more pressured with you. I hope this helps?